Pleasant daytime music and conversation from two of show biz's greatest talents. "In A Little Spanish Town"
The Crosby-Clooney Radio Show is the product of several related and unrelated sources. The first is the remarkable talent and career of Bing Crosby. Crosby's showbiz career began as a prop-boy in a vaudeville house in Spokane, Washington. Although he was entranced by the talents of the likes of Al Jolson and his ability to "belt out" a song to every seat in the house, Bing's own rise would be based on the use of electronic amplification. Bing was able to use the intimacy of the microphone to develop a new type of performance, as a "crooner", the microphone allowing the singer to dominate the big band he was fronting. Bing Crosby's ready acceptance of electrical devices would lead to another source of the Crosby-Clooney Show, magnetic tape recording. One of Crosby's most popular numbers was "White Christmas", written by Irving Berlin. Berlin introduced Bing to the number for the 1942 film "Holiday Inn". The song, with its nostalgic images of a Christmas at home, pulled at the hearts of a Nation at War (the 1942 hit had to be rerecorded in 1947--the original master disk had become damaged from repeated repressings of the single) and became the inspiration for the 1954 film White Christmas. 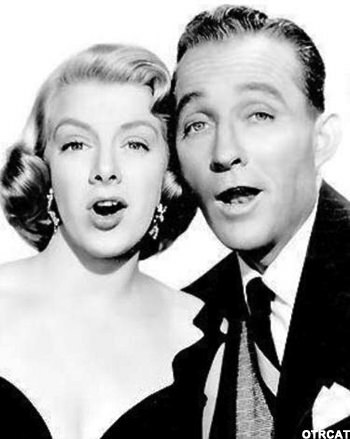 During filming Bing became a lifelong friend to his co-star, Rosemary Clooney. Clooney began singing professionally with her younger sister after their father took all the household money to celebrate VE Day and never returned. Although the sisters had success together, Betty Clooney recognized that she was holding her more talented older sister back, and left the act. Rosemary made recordings for Columbia records with Tony Pastor's band, but her personal success began with a Mitch Miller arranged novelty hit "Come On-a My House", a song Rosemary didn't particularly care for. Just before beginning work on White Christmas Clooney married the multitalented actor Jose Ferrer. They had five children together. Work on the Crosby-Clooney Show began just before the birth of the youngest. What made this possible was the miracle of magnetic tape. Crosby had long seen the advantages of prerecording his radio performances. It would allow the artist to concentrate on delivering a perfect performance while scrapping the bad takes. Detractors claimed it was so that Bing could dedicate more time to his golf game. The networks insisted that audiences preferred the intimacy of a live performance, but where eventually won over after Crosby had success with an ABC show sponsored by Philco in 1947. Crosby also invested personally in Ampex reel-to-reel magnetic tape recording equipment. This taping equipment made the Crosby Clooney Show possible. Each of the artists had a large number of songs recorded, and recorded a number of duets as well. 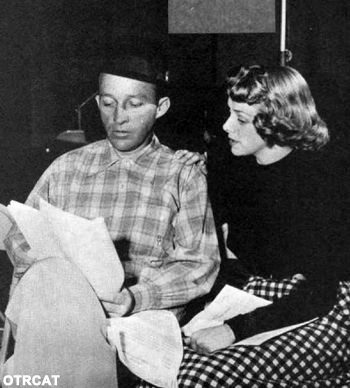 The spoken parts of the program were recorded when the actors could get together in what became friendly sessions when it was convenient to do so. Some takes were interrupted when Rosemary's kids ran in and out from the pool at their house. Clooney's life and career took a downturn soon after the Crosby-Clooney Show. Her eventual recovery from the depths of depression and addiction were due in a large part to the friendship of Bing Crosby. 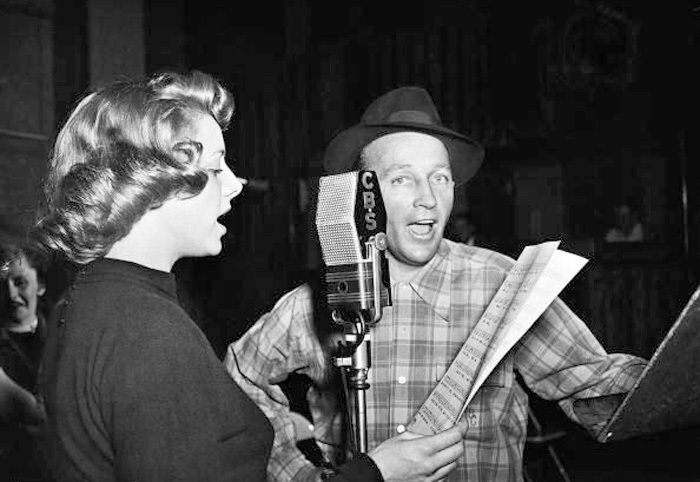 Be the first to comment on "Bing Crosby and Rosemary Clooney Show"
BCRC 620327 542 Hey Look Me Over!